So as even Jillian Barbieri herself admits that she's a Skating With Celebrities ringer, we go back to talking about... what's the word I'm looking for?... oh, yeah, real professional skating competitions. After their initial start in Jaca, Spain, and the subsequent establishment of a regular circuit with World Pro and Challenge of Champions, professional skating competitions became the place where successful -- and sometimes not so successful -- amateur skaters got to show the world what they were really about, away from the strict rules and regulations of the ISU. For instance, as professionals, Canada's Barbara Underhill & Paul Martini, made up for a lack of technical perfection with a crowd pleasing, popular style. Their "When a Man Loves a Woman" routine, performed with Martini in torn jeans and Underhill in a slip, is still considered by many to be the hottest seduction ever put on the ice. Praises former Candid Production VP Jirina Ribbens, "They used the World Pros to change their skating. They were very limited because he couldn't jump, but they made sure they did what they could do, very, very well. The package was right." In 1990, World Pros witness a surprise in the form of Switzerland's Denise Biellmann. The first woman to complete a Triple Lutz jump, and the 1981 World Champion, she, nevertheless, was considered too passe to be much of a factor at the World Pros. Yet, her win over Rosalynn Sumners, Debi Thomas, and 1988 Olympic Silver Medalist Elizabeth Manley, ushered in a new phase of Denise's career -- where her professional titles eclipsed her achievements as an amateur. 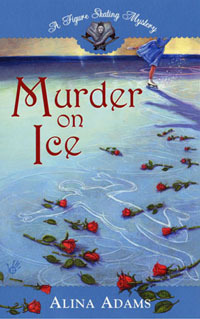 Ribbens believes, "Denise was young when she left amateurs so she didn't develop into the great skater she could be until she was already a pro." With the proliferation of pro competitions in the 90s, Denise, whose repertoire continued to pack more triple jumps than many men on the circuit, went on to win the 1992, 1994, 1995 & 1996 Miko Masters, the 1994 American Invitational, and the 1996 Masters on Ice. The experience and confidence she got from winning those smaller pro competitions, in 1997, helped Denise finish 2nd at the more competitive U.S. Pros, ahead of 1994 Olympic Silver Medalist Nancy Kerrigan, and win the Challenge of Champions over the 1992 Olympic Gold medalist, Kristi Yamaguchi. Like Brian Boitano did for the men in 1988, Kristi certainly raised the technical stakes of ladies' competition with her post-Olympic entry into the pro ranks. Triple jumps won Kristi the 1992 World Pro and Challenge of Champions. But, in 1993, even she had to get in line behind the 1989 World Champion from Japan, Midori Ito, who came to World Pro competition with a weapon no other woman could boast -- a Triple Axel. In 1994, Kristi's superior artistry held off not only Midori Ito, but the 1994 World Champion from Japan, Yuka Sato. Unlike her predecessors, who'd had four years to reign as Olympic champion, a scheduling quirk wherein the Winter Games were shifted two years ahead to stop them falling in the same year as the Summer Games (a move prompted in part by television's desire to have a big sporting event to sell advertising for more often) gave Kristi only two years of unchallenged glory. Another American suffering from that too-short fate was 1992 Olympic Silver Medalist Paul Wylie. Never national champion, never World Medalist, Wylie skated the performance of his life in France to finish 2nd behind Ukraine's Viktor Petrenko. When he moved into the pros, his future seemed splendid. But, the inconsistency that prevented Wylie from winning major titles as an amateur continued to plague him as a pro. When he was good, he was very, very good, beating Boitano, Orser, and Petrenko in 1992, to win the Challenge of Champions. But, when he was bad, Paul could disintegrate faster than practically any other skater. Though he won the World Pro in 1993, Paul finished 2nd in 1992 and 1994, and last in both 1995 and 1996. He was invited to the 1997 event, but, having just won the 1997 Challenge, declined the invitation, preferring to end his professional career on an up-note. In 1990, the show moved from its weekend afternoon broadcast slot, to an hour special at 8:00 p.m. In 1992, it expanded to two hours in prime time, picking up four million more viewers along the way. In 1993, they attracted three million more. 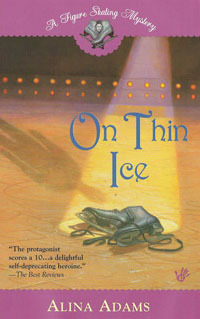 In 1994, with skating interest still post-Olympic hot, the World Pros captured an average of twenty percent of the entire viewing audience. That same year, two-time Olympic champions Gordeeva & Grinkov turned pro for the second time in their career, and won the Pairs event (their third World Pro title). 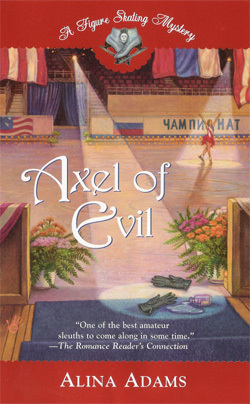 1994 Olympic Silver Medalists Usova & Zhulin won the dance, and Boitano the Men, ahead of Wylie, Hamilton, and four-time World Champion Kurt Browning, the Canadian whose passage to a pro career proved rockier than most. Browning finished 3rd at the 1994 Challenge of Champions, and 4th at the 1995 Challenge behind Robin Cousins, who, courtesy of a bad back and knees, had long given up triple jumps. A rather poor showing for a recent World Champion. But, what made his situation more unusual than Wylie's was that, except for coming into both the 1992 and 1994 Olympics as the favorite and leaving without a medal each time, Kurt made his reputation as the King of Consistency, and as the first man to land a Quadruple Jump in competition. For him to fail to win a major pro title his first year out was a surprise to his fans. Yet, it wasn't until Kurt the brilliant jumper became Kurt the artist, that his fortunes began to change. Says Ribbens, "Skaters who came to World Pro kept their technical level, and they developed as artists. Our focus was on great technical skating in all aspects of skating. In body positions, spirals, spins, jumps. And to be a great entertainer. Because what good is it if you can do beautiful jumps, but you can't keep the audience's interest?" Once Kurt Browning understood that formula, he went on to win the World Pro in 1995, 1996, and 1997.